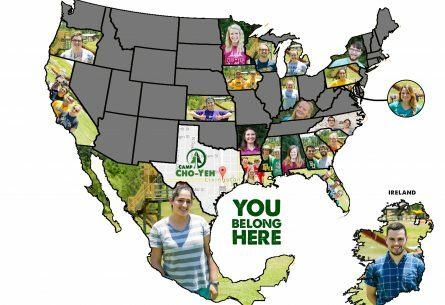 Our staff comes from all across the country to work at Camp Cho-Yeh. From coast-to-coast, staff flew, drove, and rode buses for hours to get to camp. 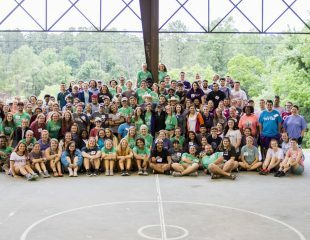 Within our counselor staff alone, there are approximately twenty from outside of the state of Texas that all committed to live and work this summer in Livingston, Texas at Camp Cho-Yeh. Cole drove five hours from his hometown in West Monroe, Louisiana to experience Cho-Yeh. He attends Louisiana Tech University as an elementary education major. 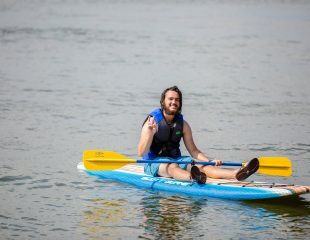 With his passion for kids, he is excited to be an Explorers’ counselor this summer. He is not alone in his joyful anticipation for campers to arrive. 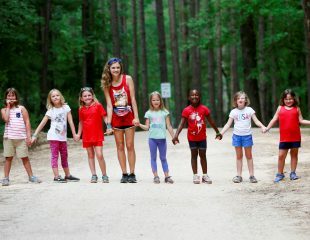 Maryland resident and Coastal Carolina University student, Kylie Blevins took a three-and-a-half-hour flight from Maryland to Texas to spend her second summer at Camp Cho-Yeh. Kylie came across Cho-Yeh after searching online for a Christian summer camp to work at. These are just two of the dozens of people that left their comfort zones to travel hundreds, some even thousands, of miles to experience Cho-Yeh. The community here is built from people of all different backgrounds, yet all united in one purpose: to create a place where lives are transformed. No matter how far away people come from, they find a place to belong at Cho-Yeh.